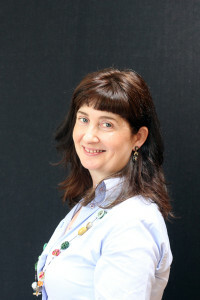 Today I’m sharing a cup of mint tea with Irish author Sharon Black about her debut romance, a romantic comedy, Going against type. People talking on their phone in public. C. Three things on you bucket list? Spend a month seeing southern Italy and Sicily. I used to watch the old Hollywood movies on TV when I was growing up. Katharine Hepburn and Spencer Tracey were absolute favourites; they sizzled together on screen. One of the films they made together was Woman of the Year, where Hepburn played a high-brow newspaper pundit, and Tracey plays a sports columnist. She rubbishes sport and he leaps to its defence. I thought, what if my heroine were the sports journalist? She writes a sports column. Then I made my hero a fashion writer and gossip columnist. But I was determined to turn the stereotypes on their heads. I also keep the up suspense. Neither have any idea that they’ve fallen for their bitter rival, as both columns are written under pen names. But Woman of the Year was my light-bulb moment. 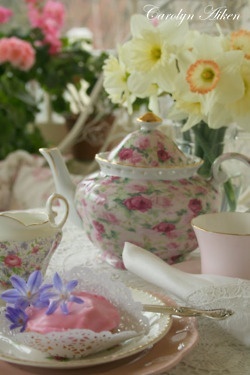 I hope it’s a brighter morning in your part of the world: here in Dublin, it’s grey and rainy! Anyway, I’ll be here all day, in case anyone wants to stop by and have a chat. I’d love to talk with you. 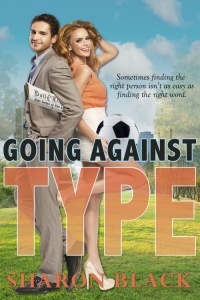 To check out an excerpt from Going Against Type, or a free peek inside, just click the buy link. Hi Sharon – it’s summer her in Betty’s Bay so the sun is shining but the Southwestern wind is in full force! Congratulations on your debut – here’s to many sales!